Venezuela: Is this the end for Maduro? “Miracles do exist,” said Freider Gandica in Tal Cual (Venezuela). Opposition leader Juan Guaidó has ignited “the hopes of the brave people of Venezuela.” The “usurper” Nicolás Maduro rigged his own presidential re-election last year, and when he was inaugurated for a second six-year term in January,= many Venezuelans resigned themselves to yet more food and medicine shortages, hyperinflation, and crime. But the National Assembly, Venezuela’s only legitimately elected body, did not give up. In accordance with the constitution, it declared Maduro illegitimate and made the previously unknown Guaidó interim president. Social media bubbled with questions. “Where did this guy come from?” and “Is he really just 35 years old?” Joyfully, hundreds of thousands of us followed him into the streets, in a democratic outpouring that will change history. 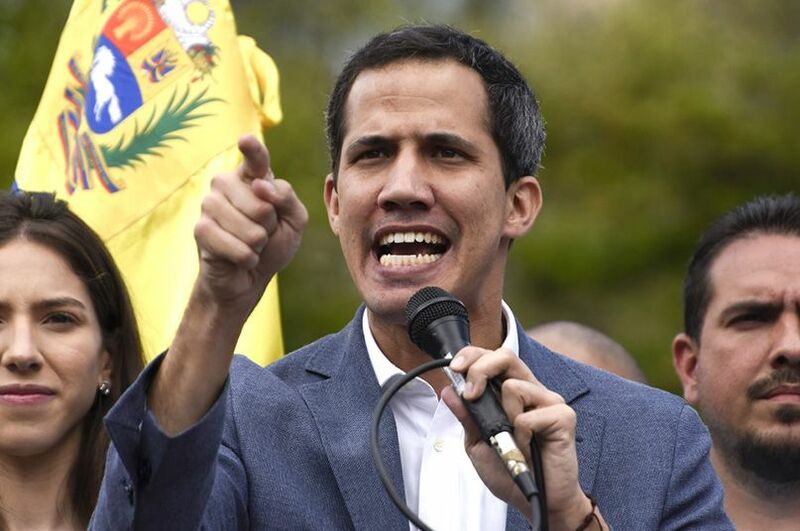 Guaidó has offered amnesty to Maduro and to members of the armed forces willing to come over to our side. But a shaken Maduro has fought back, sending soldiers and paramilitaries against protesters and killing dozens. We need the support of the military. “Brothers of the National Armed Forces: The time is now.” Join the restoration of democracy! Maduro is managing this challenge carefully to avoid violence, said Francisco Arias Cárdenas in El Universal (Venezuela). It’s unfortunate that so many Venezuelans are appealing to “foreign interests” such as the U.S. and Brazil, which have recklessly recognized Guaidó. As President Maduro said, only dialogue will bring a solution, not “violence or foreign interventions or coup attempts or war.” Nonsense—the real foreign intervention is being conducted by Maduro’s ally Communist Cuba, said Richard Aitkenhead Castillo in El Periódico (Guatemala). Thousands of Cubans have “infiltrated the Venezuelan security apparatus” and the military, at all levels. Luis Almagro, general secretary of the Organization of American States, has called those Cubans “an occupation force that teaches how to torture and repress.” Russia is also backing Maduro, and has reportedly sent elite special forces to aid him.